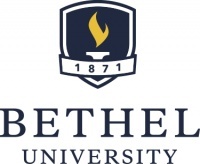 Bethel University is an evangelical Christian higher education institution with approximately 6,000 students from 36 countries enrolled in undergraduate, graduate, seminary, and adult education programs. The main campus is located in Arden Hills, Minnesota, a suburb of St. Paul, and the seminary has a second campus in San Diego. The university has a performing arts program, including Benson Great Hall, a concert hall, and The Bethel Choir, the university's 75-voice concert choir which has performed throughout Europe and Scandinavia. Fully accredited by the Higher Learning Commission—North Central Association of Colleges and Schools, the university is also a member of the Christian College Consortium. Bethel University is affiliated with and supported by the congregations of Converge, formerly known as the Baptist General Conference. NOTE: CosmoLearning is not affiliated or endorsed by Bethel University. This page is only intended to credit this content provider for their educational content being included on the CosmoLearning site.